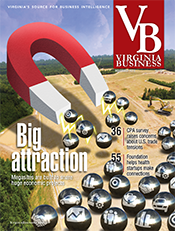 What are the major challenges facing Virginia’s corporate boards? 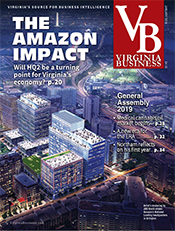 To find out, Virginia Business interviewed several board directors and corporate counsel in Virginia and consulted national surveys to get a feel for the top priorities. The consensus: Board composition, diversity and oversight remain key issues. Yet several new challenges have emerged in a corporate world that’s much different from 15 years ago — a world before investors and criminal prosecutors discovered abuses at the former Enron Corp. and the subsequent collapse of the once-venerated Arthur Andersen accounting firm. Today’s board cauldron includes a volatile swirl of reputational risk, cybersecurity threats and growing shareholder support for proxy access, a mechanism that allows shareholders to place their nominees for director on a company’s proxy card. Norfolk Southern Corp.’s 13-person board is “very interested” in the growing importance of reputational risk, says James A. Hixon, the company’s executive vice president of law and corporate relations. “We have discussions about transporting crude oil and disaster scenarios involving the transportation of crude oil. 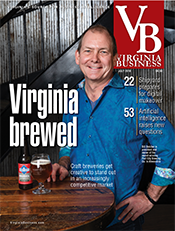 That’s a financial and a reputational risk, and the board wants to know what are the consequences and the rewards of moving it, and that’s a business decision,” he says. According to Hedblom, her law firm is seeing increased interest in breach response and insurance advice from companies of all sizes, which was one of the drivers behind the firm’s decision to create a new security unit. 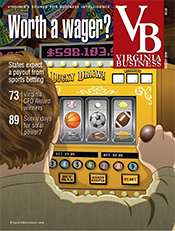 In this regard, Virginia seems to be ahead of the curve with a recent national survey showing that most U.S. boards are largely unprepared. Worker safety and consumer protection concerns are other sources of possible risks to a company’s brand, sales and profits. At Altria’s annual meeting in Richmond in May, a handful of audience members asked the company to do more to stop its U.S. tobacco suppliers from hiring undocumented immigrant workers. Some people also expressed concerns about child labor. According to news accounts of the meeting, Altria Chairman, President and CEO Martin J. Barrington said that the company opposes the use of forced and exploited labor and its supplier code of conduct reflects those values. Later the company’s board and its shareholders rejected two stockholder proposals related to improving the health and financial welfare of the agricultural workers that suppliers hire. It also rejected a third proposal to spend more on smoking cessation materials aimed at poor and less educated tobacco users. That same month across town news reports estimated that nearly half the questions from the audience of shareholders to Dominion Resources Chairman and CEO Thomas F. Farrell II during the energy company’s annual meeting expressed opposition to the company’s proposed, 550-mile natural gas pipeline that would run from West Virginia to power plants in Virginia and North Carolina. Some would argue that board effectiveness starts with composition. 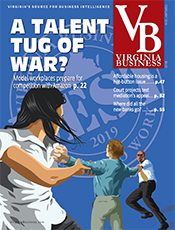 Longtime Virginia educator and company director Eddie N. Moore Jr. says he and fellow board members at Owens & Minor Inc. and Universal Corp. are looking at how increased diversity can deliver fresh perspectives to management in the short and medium term — and help succession plans. The president of Virginia State University in Petersburg for 17 years (he retired in 2010) and currently the interim president and CEO of Norfolk State University, Moore began his corporate governance career in 2000 with Universal. He joined Owens & Minor as a director in 2005. During his tenure, he says, the definition of boardroom diversity has evolved. It’s not simply about being male or female any longer. It’s about how accumulated work experiences and the special skill sets of each director — male or female — complement those of his or her colleagues. Under the rubric of “board composition,” more and more large shareholders are pressing the companies whose equity they own to add current or recently retired C-Suite veterans with different ages, professional backgrounds, opinions and technical expertise to supply senior management with fresh perspectives. Earlier this year, with an eye toward the upcoming calendar of annual shareholder meetings, the EY Board Center, a unit of the Ernst & Young LLP business advisory firm, said increased diversity in the boardroom has become a key concern of the 50 institutional investors it had surveyed. 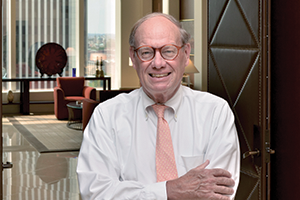 Hunton & Williams’ Goolsby sees growing support for the proxy access movement, which has the potential to force new faces onto a board. During the 2014 proxy season, he saw 15 proposals calling for proxy access. By 2015, Goolsby says that number was up to 100, and about 50 percent of the proposals passed. Approved by the Securities and Exchange Commission in 2010, the rule allows any shareholder or group of shareholders holding at least 3 percent of a company’s voting stock for at least three years the right to use a company’s proxy materials to nominate up to 25 percent of the board. A U.S. Court of Appeals vacated the rule in 2011. Yet proxy access bylaws are authorized by statute in some states, including Virginia and Delaware. This means shareholders may seek bylaw amendments allowing proxy access on a company-by-company basis. According to Goolsby, some large public companies including General Electric, CitiGroup and Prudential, adopted proxy access bylaws this year. But he notes that requiring a company to make the process available is easier than actually nominating qualified board members. According to Goolsby, TIAA-CREF, one of the nation’s largest and most powerful pension funds, sent out a letter in February to the top 100 companies whose shares it owns, asking them to adopt a proxy access bylaw. 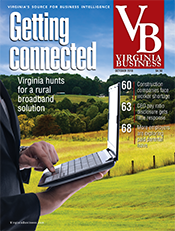 Several large Virginia corporations were on the mailing list, he says. While it’s too early to tell how much of an impact the movement could have, “If directors start losing re-election campaigns in significant numbers, it will have a big effect,” says Goolsby. A PricewaterhouseCoopers LLP survey of more than 860 directors of the nation’s largest corporations released last year revealed that there’s still a heavy bias among U.S. boards in favor of current and prospective directors who possess financial services expertise (93 percent), followed by directors with long experience in the same industry (72 percent). Next in line were candidates with operational experience (68 percent), followed by those with risk management expertise (65 percent). Surprisingly, given the increased importance that exports, foreign operations, electronic commerce and technology issues play in the success of U.S. companies, less than half of the directors surveyed by PwC said that international experience (45 percent) or digital expertise (41 percent) were “very important” skills needed in their boardrooms. And in spite of the push in recent years by activist investors and civil rights groups to remake U.S. corporate boards to reflect the rising importance of women, blacks, Latinos and Asians in their customer populations, only 37 percent of those directors surveyed by PwC thought having women on their boards was “very important” to the success of a company, while only 28 percent said racial diversity would be “very important” to their board’s success. Carter L. Burgess, Jr., a managing director at RSR Partners in Greenwich, Conn., advises companies who hire him to find qualified candidates for board seats to focus first on potential directors who possess the valuable work experience and skill sets boards lack, and secondly on things like gender, race and ethnic origin. Another aspect of diversity in the boardroom is age. Some activist shareholder groups like Institutional Shareholder Services (ISS) often criticize the average age of directors and the length of their tenure as reasons why an underperforming company may need new blood. Critics posit that many older directors — typically the longest tenured directors — can no longer keep current with respect to industrial or technological developments and are unable to offer new insights into corporate issues. Some also say long-serving board members can become, over time, too cozy with senior management and don’t provide the independent oversight that minority shareholders expect. One of the more definitive industry sources on the subject, the annual Spencer Stuart Board Index, reported last November that the average age of board directors at S&P 500 companies now stands at 63, up from 60 in 2004, and that 45 percent of S&P boards now have an average age of 64, up from 16 percent in 2004. 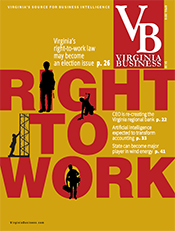 Among Virginia’s 22 representatives in the 2014 Fortune 500 list of companies, 16 had boards of directors younger than the national average. 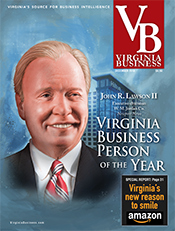 Hilton Worldwide Holdings, headquartered in McLean, had the youngest board in this group, with its nine members averaging 52.8 years of age, according to Bloomberg Research. The second youngest was NII Holdings, at 53.8 years. 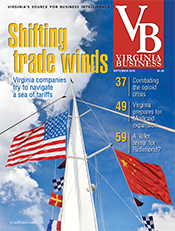 The oldest board among Virginia’s Fortune 500 companies last year was Dollar Tree, based in Chesapeake. According to Bloomberg, its 11 directors averaged 66.4 years of age. The second oldest was Altria’s board, with the average age of its 11 members 64.9 years. 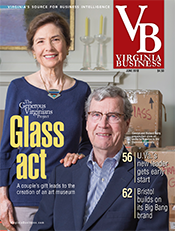 Seventy-six-year-old Al Broaddus, the former head of the Richmond Federal Reserve, has been serving on public company boards since 2004. He once belonged to four. Now, his only directorship is with the Markel Corp.
“Some of the reasons I’m not on the other boards is that they all had age limits. Markel at this point does not have age limits,” he says. 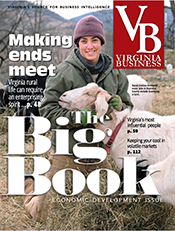 Managing Editor Paula C. Squires contributed to this story.